This bio-engineering tool has helped West Mill Smiles better determine how teeth should be restored. Years of wear and decay can bring about significant occlusion and function problems. Our team uses these three-dimensional blueprints with cast models for your current and soon-to-be restored smile. 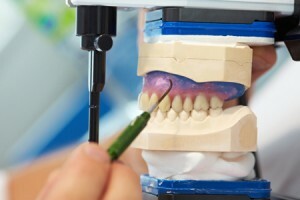 The occlusal articulator makes apparent how the function and bite will be enhanced through the restorative plans that are recommended. Patients can develop painful joint problems and chipping and cracking problems when teeth are mismatched. Without creating equilibrium or harmony, smile restorations can be short lived. Therefore, we take a all-inclusive health view. 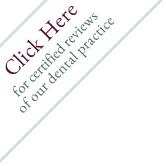 Be assured that we will develop a a bio-engineered plan for your new smile.